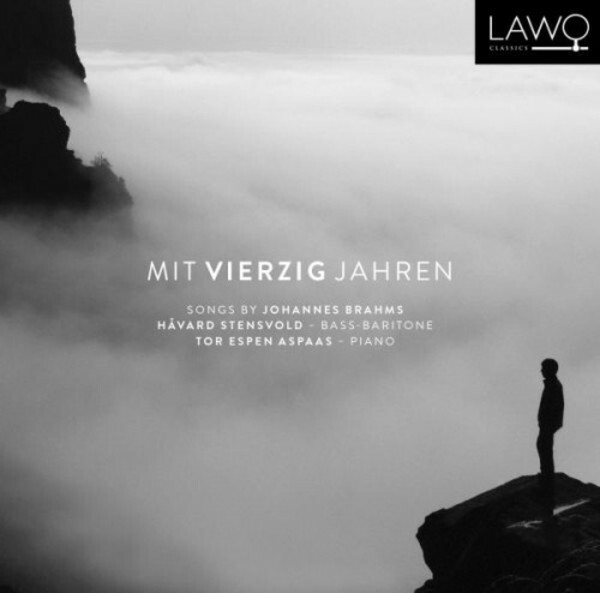 Following the success of 'Vinterreise' (LWC1013), featuring a Norwegian version of Schubert’s song cycle, Håvard Stensvold and Tor Espen Aspaas have now released their second album on the LAWO Classics label - 'Mit vierzig Jahren'. Stensvold (43) and Aspaas (43) have both made it through this juncture, and on this recording they have collected some of Brahms’ finest, from the wonderful narrative songs to the more intimate and tender. A favourite is 'Mondnacht', which has a more famous half brother in Schumann’s version.